Spirooli is a practical and innovative way to beautifully shred, slice, and chip most vegetables and fruits. This Spiral Slicer is the perfect gadget for making unique noodle and vegetables. 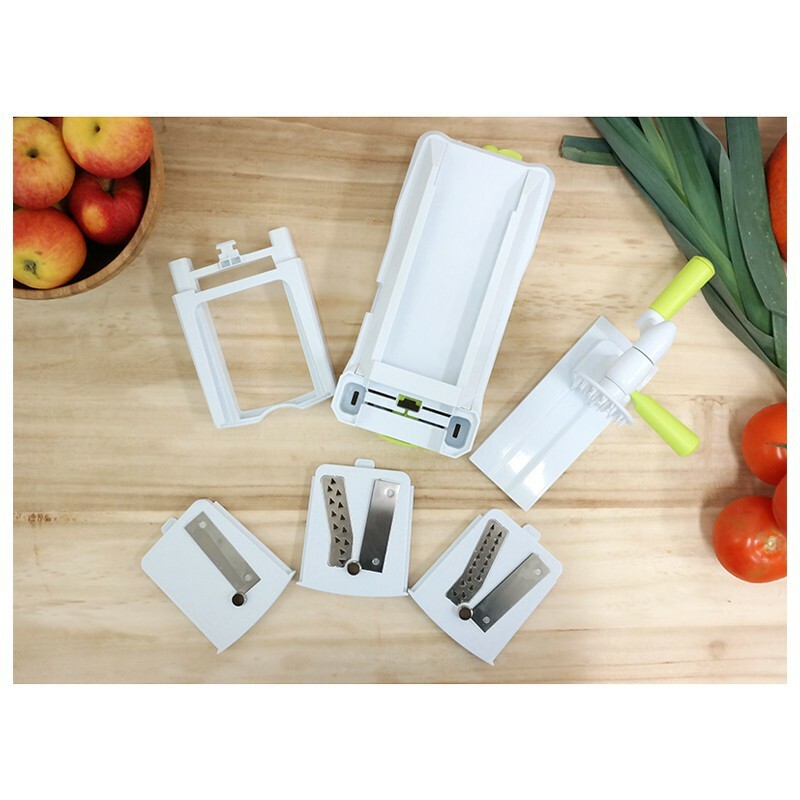 Vegetable Slicer and Spiral Slicer -"Spirooli"
With three fast and easy interchangeable blades you can easily make your favorite dishes for your family and friends in a very short amount of time. 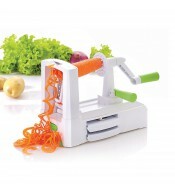 There are a ton of spiral slicers on the market, but this one works like a charm on larger items like sweet-potatoes. 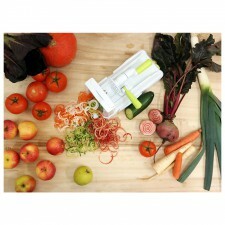 The Spiral Slicer makes slices, shreds and makes great chips! The Spirooli has Many Uses! 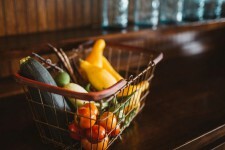 Jak naložit s vypěstovaným ovocem a zeleninou? 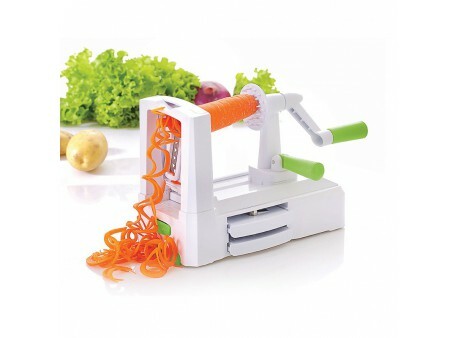 Spiralizer is a great tool that will help you to liven up your dishes. 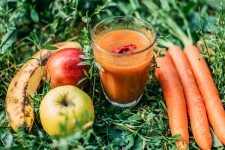 It is easy to make many sorts of past without gluten and rich in vitamins with it. 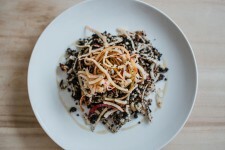 Our favourite recipes were inspired by Italy, Asia and also by our Czech grandmas´ cuisine. 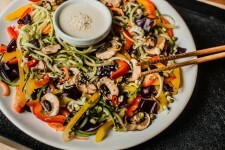 Zucchini offers a large scale of possibilities, what about to try large noodles this time? 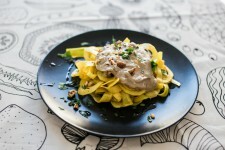 We added champignons and walnuts and a gastronomic experience is here. 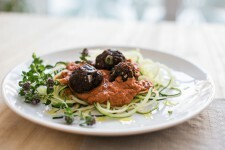 After you taste our raw/vegan balls with zucchini spaghetti, you won’t want anything else!